A new Reston program has picked up an accolade for the assistance it brings to local senior citizens. 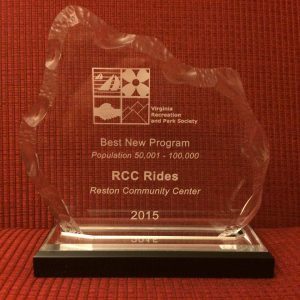 Reston Community Center’s “RCC Rides” program recently won the award for Best New Program at the 62nd Annual Conference of the Virginia Recreation and Park Society, held earlier this month in Roanoke. 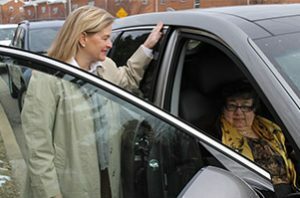 RCC Rides offers door-to-door rides to senior citizens age 55 and older who live within the Reston limits. Local seniors can request rides to everything from doctor’s appointments to shopping or to RCC social events and enrichment activities. Rides are offered free-of-charge by local volunteers, whom RCC staff praised as they accepted their award earlier this month. Since the program launched in July of 2015, more than 1,000 rides have been offered to local seniors, according to RCC staff. The program now includes more than 147 regular riders and 43 drivers. Local seniors can find out more information about RCC Rides online. Local drivers who would like to volunteer to a driver for RCC Rides can sign up online.